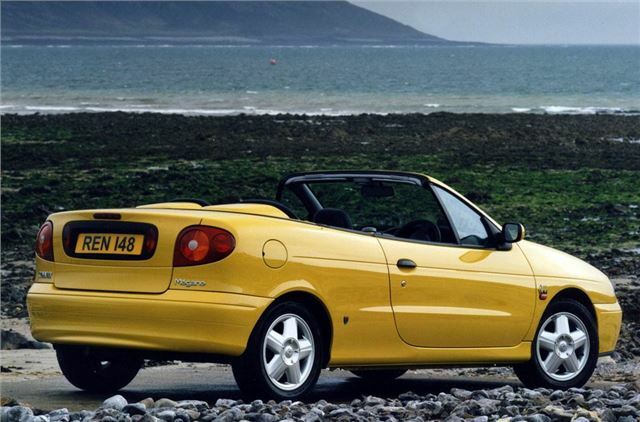 Stylish-looking cabrio. Relaxed, easy-going drive. Sensible prices. Awkward-looking coupe. Afflicted by minor problems and sometimes expensive ones. Impressive 60,000 miles reported from Renault Megane CC 1.5dCI EDC with no problems at all from the transmission. 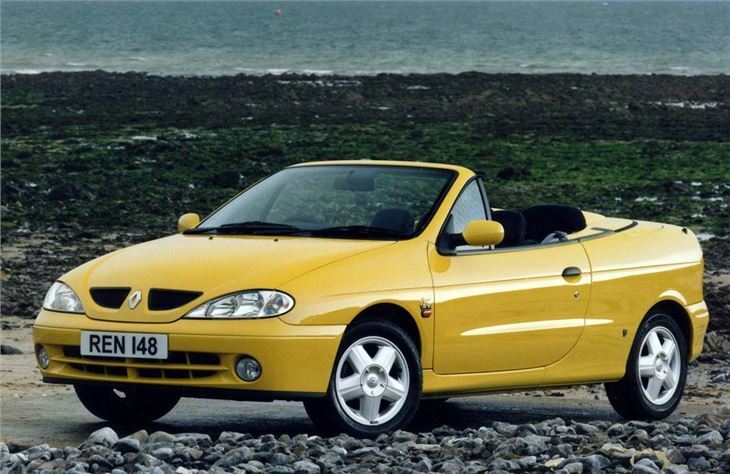 Strange looking coupe, but good looking cabrio, many offered at big discounts both by independent importers and Renault franchises. Two-door coupe offered with 95bhp 1.4 16v; 110bhp 1.6 16v; and 140bhp 2.0 16v. Cabrio only with 1.6 and 2.0.